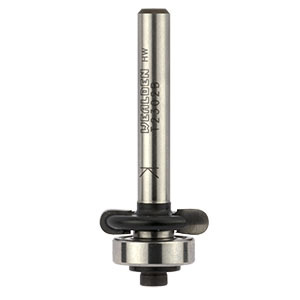 This two flute bearing guided groover produces a radiused bottom groove or flute. 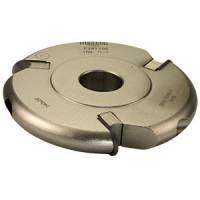 This type of cutter may be used for producing decorative edge moulds, flutes etc. on straight or curved work. It is also commonly used for producing drip grooves. The bearing assembly may be completely removed giving greater flexibility in the use of the cutter. 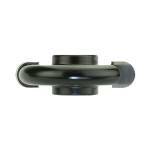 The bearing supplied is a TB620 (16mm diameter) which sets the depth of cut to the "A" dimension. Smaller and larger bearings may also be fitted which will vary the depth of cut - contact our technical department for details.